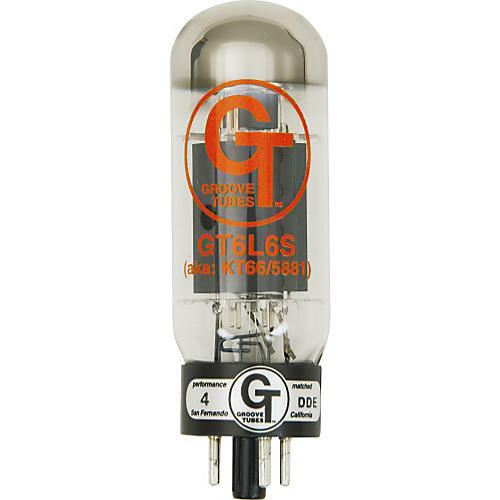 Groove Tubes Gold Series GT-6L6-S Matched Power Tubes Medium (4-7 GT Rating) Duet guitar amp tubes are Slovakian-made with high power and very aggressive dynamic tone...punchy, but still sweet. New GT design with more power and heavy duty components. High power type with more highs and lows than other 6L6 types.